YEKATERINBURG, April 11. / TASS /. A rare emerald weighting 1.01 kilogram to be put up for auction in the autumn by the Mariinsky Priisk deposit, the only emerald deposit in Russia, part of the Rostec state corporation, located in the Sverdlovsk region, the company CEO Yevgeny Vasilevsky told TASS on Thursday. “Bidding will begin in the autumn of 2019, we will notify of the exact date later on. The initial cost of the Governor’s emerald will be 20 million rubles,” said Vasilevsky. The Governor’s emerald weighs 1.01 kg was mined at the Malyshevsky mine in early 2015. The size of the unique crystal is 14 cm, width – 7 cm. 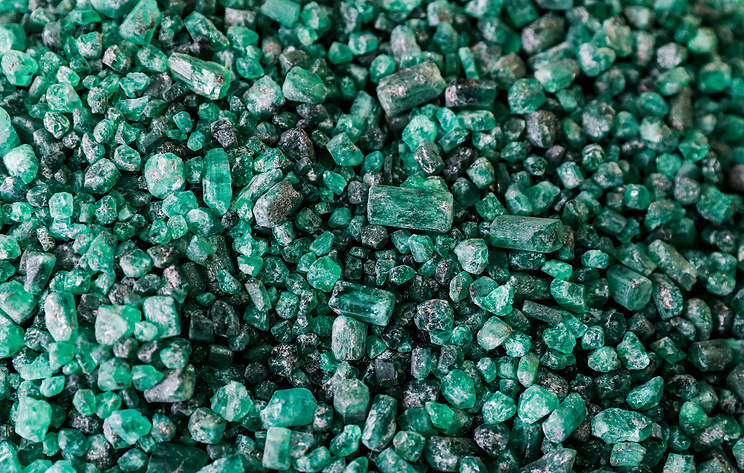 Experts attributed the mineral to the highest, first grade category due to its deep dark green color, and to the second category based on its transparency. Seven out of ten emeralds recognized as the best in the world come from the Urals. Many of the emeralds mined at the Malyshevsky mine are kept in museums and represent national treasures. The most famous of the latest finds have their own names – Miner’s Glory, President, Glorious Ural, Trilith, Jubilee, Zvezdar (Star-giver). Hey Buddy!, I found this information for you: "Rare emerald over 1 kg to be put up for auction in Russia". Here is the website link: https://russophile.org/rare-emerald-over-1-kg-to-be-put-up-for-auction-in-russia/. Thank you.